The ProAV industry’s largest drone exhibition has returned to ISE 2018 as Stampede will present a larger and even more broadly focused Drone Pavilion at Stand #14-A100 in Hall 14 of the RAI Centre. According to Stampede President & COO Kevin Kelly, the 2018 Drone Pavilion features more models from more manufacturers, demonstrating applications across a broader range of vertical markets. 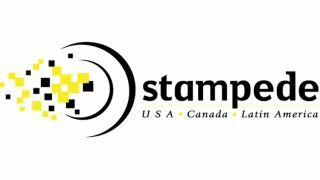 Stampede has once again teamed up with Unmanned Vehicle University to provide a full schedule of application-specific presentations and training sessions, as well as small group and one-on-one information sessions. The separate Unmanned Vehicle University classes cover in-depth discussions of various commercial applications on how drones are being used currently – such as Public Safety, Infrastructure Inspection, Survey/Mapping and Aerial Cinematography implementations. The Stampede Fly Cage will also make an appearance. Throughout each day, the Stampede Fly Cage is hosting short presentations by specific drone-related manufacturers who discuss in more detail how their specific models can be used to support commercial applications.